The aim of our constitution is to establish a welfare state. Welfare state means a nation where the government bodies take care of the needs of the citizens. In Part IV of Indian Constitution, some provisions and guidelines for the government are laid down in order to guide the state towards this goal. These are known as the directive principles of state policy enshrined in Indian Constitution to fulfill the purpose of a welfare state. These principles are in the form of instructions to the center and state government. Unlike the fundamental rights, these principles are not justifiable. That is, the state is not legally bound to abide by these instructions and a person cannot move to any legal body to make them do so. 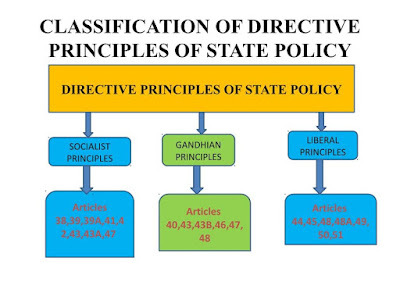 The directive principles of state policy are incorporated in some other constitutions around the world too. This idea was taken into our constitution from the Irish constitution. The Irish took it from the Spanish constitution. These directives were added in our constitution to spread out the concentration of wealth. They were aimed to bridge the gap between the wealthy and the poor. This is in reference to economic justice for the citizens, hence making these principles, indispensable for any government. These are the directives or instructions that the government should follow while making any new policies or laws and in condition of not doing so they would be answerable to the electorate in the elections. Article 36 of Indian Constitution states that in Part IV of Indian Constitution, the meaning of the word ‘state’ is the same as defined in Article 12 of Indian Constitution. State includes Government and Parliament of India, government and the Legislature of each of the States and other local authorities that come under the government of India. 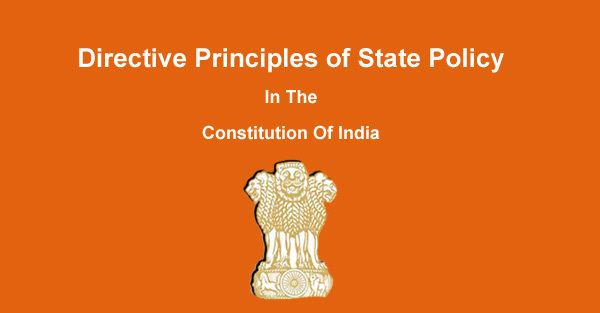 This Article 37 points out the applications of the directive principles of state. According to this, these principles are not justifiable. Still, they are considered very important and paramount in the governance of a country. The article also states that it is the duty of the government bodies to keep these principles in mind while formulating any new policies or laws. Article 38(1) - The first clause of Article 38 of Indian Constitution states that the state should work towards making such policies which ensure justice in all fields of life, such as social, economic or political status. Article 38(2) - This clause states that the state should maintain equality while making policies towards the development of a region. The state should also make policies which remove inequalities in the fields of income, facilities and other opportunities. (a) Provide the men and women with equal opportunities to earn a livelihood. (b) Equally distribute the material resources among the societies for the greater good. (c) Reduces the concentration of wealth and the means of production. This can be done by implementing the policies which affect the economic growth. (d) Ensure equal pay for men and women. As we all know, we still have a long way to go before achieving this milestone, hence proving the non-justifiability of these principles. (e) Make sure that people, men, women and children alike, are not forced to work under unfavorable conditions, be it physical or economic. They should not be forced to work in hazardous conditions. People should not have to take up work beyond their physical strength which put their life in harm’s way. People are not forced to work for low pay due to economic problems. (f) Provide the children opportunities to lead a healthy childhood. The policies should provide children with facilities which promote their education. They should be protected against exploitation, be it physical or moral. The clause also states that the policies should minimize or prevent child abandonment. This article advises the government to make sure that justice should to be done in all aspects of the state. People should not be denied the opportunity for justice on the basis of economic reasons or other disabilities. This Article 40 of Indian Constitution states that the state should facilitate the formation and functioning of village panchayats so that they can act as the units of self-government. The powers provided and endowed upon these bodies should be adequate and optimal such that they can function towards the betterment of the village. According to this Article 41 of Indian Constitution, the state should make such policies and rules which provide the society with the right to work, provide the children with the right to education and provide the sick, the old people and the differently-abled with assistance funded by the state. However, it is not possible for the state to provide all these facilities. So, the article also says that all this can be done as per the availability of resources of the state. This Article 42 of Indian Constitution states that the state should make rules which ensure justifiable working conditions. People should not have to work in inhumane conditions. The state should also ensure that for the working women, some sort of maternity relief in the form of leaves or medical support or compensation is provided. The state should make such bodies or organisations which ensure the availability of work, that too in good environment to all citizens. The citizens should have an enjoyable quality of life. They should have adequate leisure time and the opportunity to enjoy one’s culture too. The state is also advised to promote the cottage industries, both individual and industrial level. The state should make such policies which mandates the involvement of workers in the management of the company such that proper steps can be taken by the company for the betterment and benefits of those workers. The state should take steps to promote a uniform civil code throughout the country. Uniform civil code is a concept or a set of rules which are meant to replace the personal and religious rules that govern the citizens of those religions. These cover rules like marriage, divorce, adoption, inheritance and maintenance. This demand of Uniform Civil Code is in news after the Judgement of Supreme Court in Shah Bano Case and Haji Ali Dargah Women Entry Demand and other Temple Entry demands of women all over the country. This article states that the state will take steps to provide all children up to the age of 14 years with free and compulsory education. Although, it says that it could start after 10 years from the day of adoption of the constitution to provide ample time to the state to settle down. This article provide for the economic and social development of the backward classes, especially the scheduled classes and scheduled tribes. The state should also protect the workers of these classes from social and economic exploitation with special care. This article instructs the state that the standard of living should be the primary concern of the state. It should work for improving the quality of nutrition of the citizens. The state, while caring for the health of the citizens, should make policies which prohibit the consumption of harmful drugs and drinks, except for medical purposes. This article states that the state should take steps to organize and develop agriculture and animal husbandry. New scientific methods and techniques should be introduced by the state to improve and promote the quality of crops. Betterment of animals breed should also be kept in mind. The article also mentions a check on the slaughter of milk giving animals. This article instructs the state to make policies to protect the wildlife and forests. It is the duty of the state to protect and maintain a monument or object that is considered to be of historic or artistic importance to the nation. Such an artefact or monument can also be declared of national importance by the parliament of the country. The state has to protect such things from destruction, export, removal, disfigurement, or disposal. The article advises the state to separate the executive and the legal departments of the government. (a) Promotion of international peace and security. This can be done by organizing various security or cultural joint exercises. (b) Maintain relations with other nations which are based on honor and mutual respect. (c) Respecting international treaties and obligations. (d) To solve international matters by arbitrators. 1. Instructions are conveyed in a negative manner as to what a state cannot do. 1. Instructions are conveyed positively, giving proper guidance as to what should be done for the betterment of the citizens. 2. These are simply guidelines which the state is not legally bound to follow, but are very strongly recommended. 3. Principles set by the constitution for the formation of a welfare state. (1) Steps have been taken to abolish jagirdari and zamindari system. Various land reforms have also been passed. (2) By the use of various scientific methods and technologies, a tremendous improvement in the agricultural sector has been noticed. The green revolution has played a crucial role in this. (3) National Commission for the Welfare of Women was founded for the empowerment of women. (4) The amount of property and land that a person can own has been limited to prevent monarchy. (5) The privy purses of ex-princes have been abolished. (6) Life Insurance, General Insurance and other banks have been nationalized. (7) To reduce the economic disparity, right to property has been deleted from the constitution. (8) Various subsidy schemes have been introduced to support the economically backward people like the LPG etc. 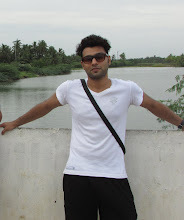 (10) The concept of untouchability now seems like ancient history. It has been abolished and a lot of steps have been taken for the uplifting of the scheduled castes and scheduled tribes. (11) To improve the governance and maintenance of order in rural areas, the Panchayati Raj has been given constitutional rights through 73rd and 74th amendment acts. (12) Small scale industries, especially from rural areas have been encouraged and provided with various aids to sustain. (13) Our country has been very active in the United Nations, whether it be sending troops or supplies. (1) More commonly then we would like, it’s the lack of effort and willingness on the part of the elected government that leads to a poorly run and underdeveloped region. (2) The people also sometimes protest a new policy which is to be implemented. Such controversial policies might seem unfair to the general public, but are mostly for the greater good. This misunderstanding mainly occurs due to unaware and uneducated public. (3) The limited resources available at disposal of the state can also slow such implementation like making of old age homes or providing free education. Dr. B.R. Ambedkar called the directive principles as ‘novel features’ of the Indian Constitution. These principles, combined with the fundamental rights, form the cornerstone of the goals of our constitution. Granville Austin, an American historian and a leading authority on the Indian Constitution, called the combination of the fundamental rights and the directive principles as the conscience of our constitution. The directive principles might in a way, imitate the ‘instruments of instructions’, which were enumerated in the Government of India Act, 1935. Dr B.R. Ambedkar himself called these principles as another name for the ‘instruments of instructions’. The directive principles of state policy aim at a broad sense of political, economic and social program. They stress was on adopting the concept of ‘welfare state’ rather than the ‘police state’ as was the case in the colonial times. To conclude, the directive principles are designed to establish economic and social democracy in the country.